Salon Zaina is your destination for relaxation. Our professional beauty experts are dedicated to making you look and feel your best. We offer the complete salon experience. Whether you are getting a haircut or a hair color our goal is to make you leave our salon feeling radiant, refreshed, and renewed. Please stop by for a free consultation or call us to book your appointment with one of our stylists today. Located in the heart of Anna, Texas, Salon Zaina is a full service salon catering an assortment of services including haircuts and styling, waxing and other beauty related services. We offer small town service with a high profile experience. Our beauty specialists and hairstylists are keen to gratify you and your family. We render styles for both men and women. Are you looking for a radical new look, or just want to trim? At Salon Zaina, we render a wide range of hair and beauty related services like haircut and color, hair treatments, waxing and much more. We are your reliable salon for men and women. 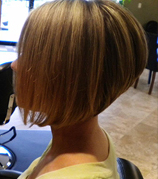 Here at Salon Zaina, we are one of the best hair salons with reasonable prices for the average man and woman. 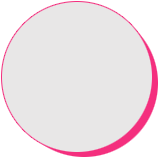 We offer the warm, personal attention you want, utilizing stylish and professional products. In today’s hectic world, it is simple to prioritize the tasks of life before our requirements and our bodies. But, by spending a small period of time and devoting it to your own personal requirements, you may transform your outlook and, accordingly your happiness and self esteem. Because we realize the essence of confidence and self rejuvenation, we have developed a list of health and beauty care services in Anna, Texas. Our website is a complete resource with comprehensive information about a wide array of services by our hair stylists and color specialists. Take care of your mind and body right here. You deserve something special. 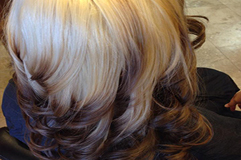 Salon Zaina is one of the best high-profile beauty salons located in Anna, Texas. We cater all kinds of beauty care services. We offer an assortment of hair styling and beauty related services. At Salon Zaina, we are committed to rejuvenate your entire body and mind. Our beauty specialists and hair stylists are eager to serve you better. We offer some of the most exclusive hair products available in this area. We also vend hair care products and Blowout hair treatment. Check out the wide range of services we have to offer at reasonable charges. 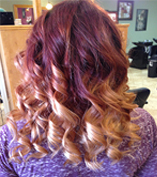 We are a full service hair salon that offers exclusive services at affordable prices.